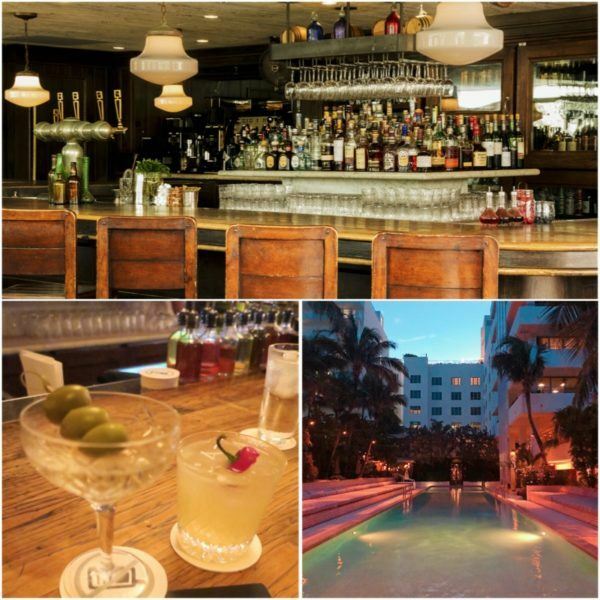 Miami Beach needs no introduction – and to me especially. I have been a good 10 times, but I stopped in recently years. I needed a break. 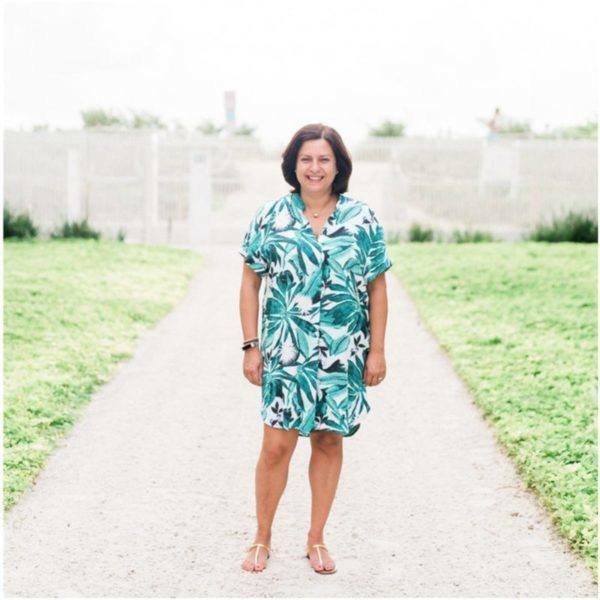 But 2018 was the year I decided to return to Miami Beach – and if I can be honest, I am glad I waited to return. Why? Because I was really excited as the departing date got closer, and planning this trip was also pretty special. There were SO many new hotels to choose from – things got a bit stale and if you did not want a ‘pool and beach scene’, things weren’t so easy. But now… you are spoiled for choice and I was too. I had 3 nights in Miami Beach and I made the most of them – here’s how my “long’ weekend went and how you can plan a luxury weekend in Miami Beach yourself. Easy peasy. From London Heathrow, you can fly direct with British Airways, American Airlines and Virgin. I chose to get my ticket from British Airways and actually fly out with American. 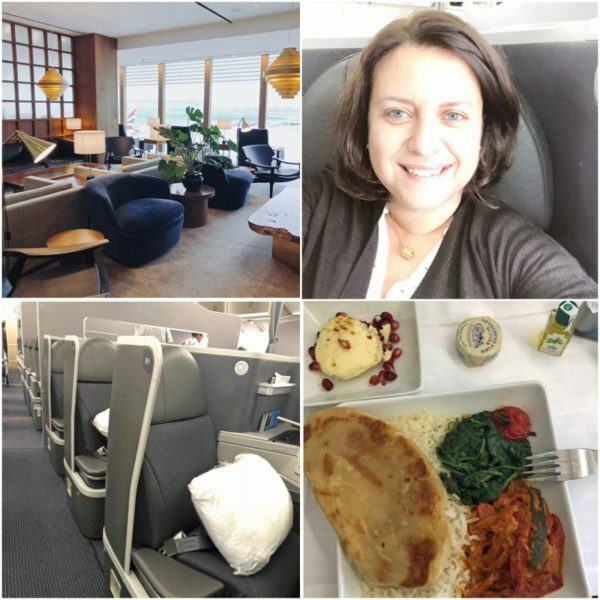 I like American’s business class set up (I reviewed it a few years ago and the experience was quite similar) and on this flight, I couldn’t ask for much more. I followed a readers’ advice and ordered a ‘Hindu Vegetarian meal’ which was not bad at all. If you are oneworld Sapphire or Emerald (I am the latter), you can play a lovely little game called lounge hopping at T3 now. Have a quick look (and cry) at the American lounge, then the BA lounge and make sure you head to the Qantas new lounge too. Where you will find me? The Cathay Pacific First Lounge which really is an oasis of calm and has outstanding food and service. Note that if you do not have status with oneworld, you can only access the American or BA lounges (which will be refurbished soon, from what I have heard). The in-flight entertainment was very good and having left London at 9.45am, we landed slightly ahead of schedule at 2pm which gave me a proper half day in Miami. And then… there was one of the most exciting landing views from a plane. Welcome to Miami. I’m not a big fan of Miami Airport – in fact I was keen to fly to Fort Lauderdale (BA flies to 5 destinations in Florida and you are free to depart and return from a different one at no difference in cost). However, things have improved a bit and we were lucky with our timings and what not… and I was out of the airport, with luggage and past immigration within an hour of landing (my personal record is JFK at 37 mins, so this was pretty good). As I was on my own (and even if I wasn’t), I much prefer to be met by a car service at the airport – and sort the car rental the following day or when I really need it. After a long flight, it is the last thing I needed and I had a couple glasses of champagne on the flight (which was just about OK) and therefore, driving really wasn’t an option. I used Blacklane again – I think they are very good in the USA and much simpler than Uber (cost me under $100 from airport to hotel, in a business class car as I had 3 suitcases, but I didn’t have to fight with people to ‘find’ my uber at the curb) and got to my hotel within 30 mins. As I mentioned earlier – oh my were there choices! 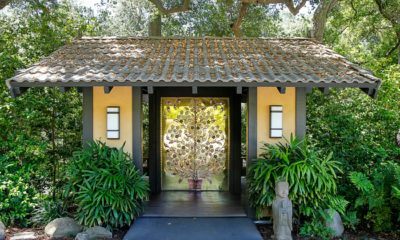 There are more than a handful brand new luxury hotels, but my decision wasn’t that tough. Why? 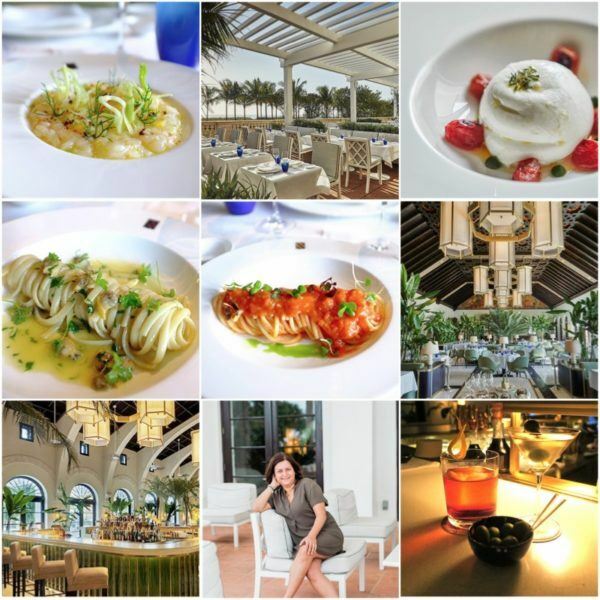 Because in my last visits we always stayed towards Bal Harbour, a town located 10-15 mins north of Miami Beach, home to Bal Harbour Shops (probably the best luxury shopping experience in the area) and the St. Regis hotel. 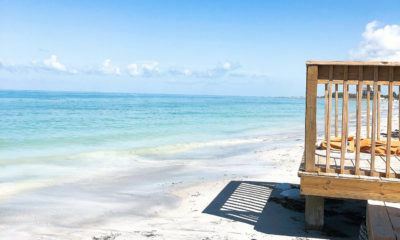 We have always found that this area suited us better – it is quieter, there is no beach or pool scene and it is super easy to get to downtown Miami or Miami Beach. 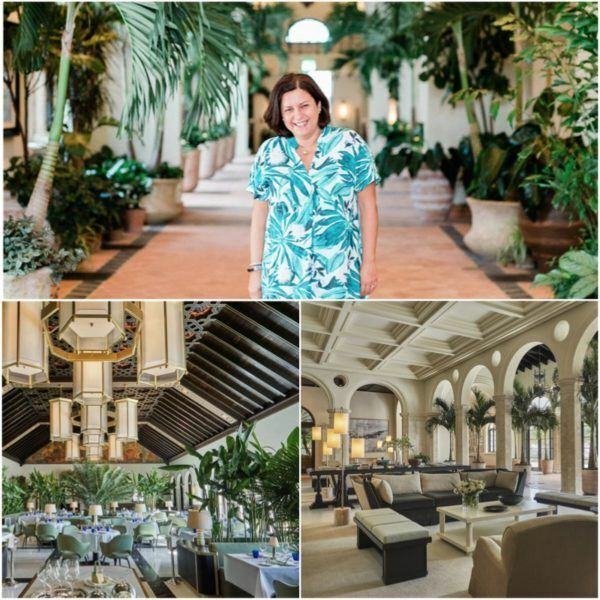 I am sure it was why the Four Seasons chose Surfside (literally the town before Bal Harbour) to locate its latest addition to its Miami portfolio: the absolutely stunning Four Seasons Hotel at the Surf Club. The hotel uses the original building which was The Surf Club for the main public areas – it is also home to Le Sireneuse’s restaurant first international outpost (and it is excellent). We loved the vibe of the hotel – how quiet it was (on the beach or pool – the hotel has only 70-something rooms, but then has private residences in adjacent buildings) and then how lively the bar and restaurant were in the evening. I really can’t fault the hotel – the service was really friendly and efficient, the location was really convenient for us and the bar was brilliant. We went out and about for dinner but always chose to return to Le Sireneuse for drinks as it had our name written all over it. The rooms were really well appointed too and came with what one could call, ‘a decent view’. You can see a video with a bit more detail on my Instagram. You can read my review of the Four Seasons Surfside here. It wasn’t easy to choose where to eat – a handful of old timers and then some new options… and only 3 nights, which turned into 2, as I will explain in a bit why. I decided to go for ‘something old but different’ and ‘something similar but new’ because in all honesty, it was difficult to pick. 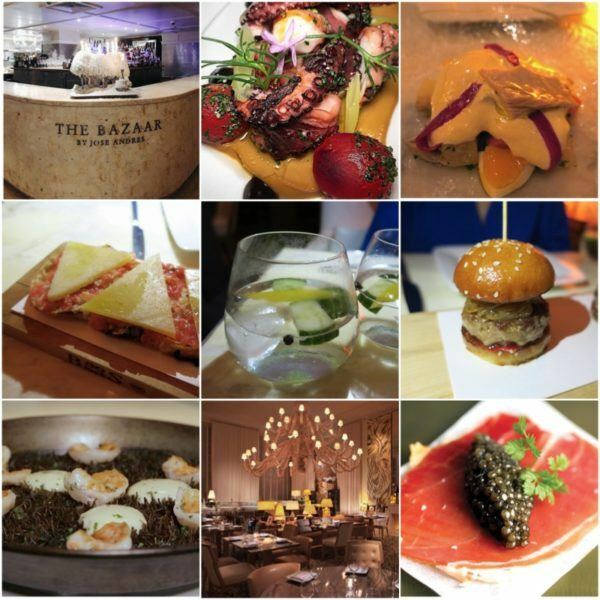 On our first night, we went to Leynia, a new Argentinian concept by SBE at the Delano Hotel. It was the perfect first meal for my friend Kirsten (who had flown in from Los Angeles) and for myself who was a bit tired from flying in from London. The cocktails were great, and we chose to share a few starters and a steak between us, which was more than enough. Dinner for two is around $200-$300+ (depending on the wine you choose, of course). Whatever you do, order their signature sorbet for dessert and you are in for a treat. On our second night, we were due to go to Estiatorio Milos but my friend K had drinks with a client of hers, which then turned into dinner. These things happen and I am actually glad it did because I can now make a first hand recommendation of a restaurant a few blocks from the Four Seasons, in Surfside, which I would never have gone to.. 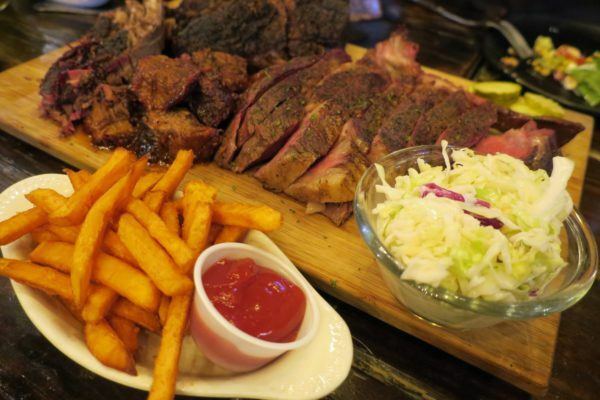 Her clients and family were Jewish and invited us to join them at their favourite Kosher barbecue restaurant, Backyard BBQ. I have one single photo of the evening, which is of the sharing platter – it isn’t a pretty one, and I don’t care. I am also not 100% sure of what we had – but I remember burned ends, buffalo something, rib eye and goodness knows what else. I may also say that the jalapeño cocktails were delicious. I think dinner was around $75 per person (but I did not pay the bill). It was quite the experience and I think we were the only non-Jewish people there, and everyone was very nice to us. On our last night, I really fancied going back to Bazaar by Jose Andres – for many reasons, but one of them was because they have this ‘Ultimate Gin & Tonic’ which is a little work of art, and also because my friend K also makes Hendricks and this would be a nice surprise for her. Living in California, she fancied some European flavours and as always, Mr. Andres did not disappoint. He has a new restaurant in Miami which came highly recommended too, but we flipped a coin and chose the South Beach location. I tell no lies. Dinner for 2 was between $250-300 excluding service. We had wines by the glass and quite a few cocktails. We lunched at the Four Seasons pool restaurant (lovely but I still do not understand why one needs plastic glasses when eating at a table, but not really by the pool) and also at Le Sireneuse. If you like real Italian food, go. It really is a beautiful venue – and really busy at dinner. For lunch, we tried the 3-course $52 lunch menu (can do 2 courses for $42). It was really quiet, so it ended up being a bit more formal than I would have liked. The bar, on the other hand, was always busy and was excellent. The whole team is Italian and very chatty. They made great cocktails too. Cocktails are around $20++. The only other place we went to for pre-dinner drinks was Soho Beach House. If you are a non-member, you can book a room and also visit Cecconi’s who operates their non-members area. If you are a member, you have the usual bar and restaurant and I cannot tell you any more about it. This is a BIG question, and I will tell you something: I pre-ordered pretty much everything I could online and had it delivered to the hotel. My time in Miami was precious and I wanted to add in some lovely beach time (which I can assure you existed). 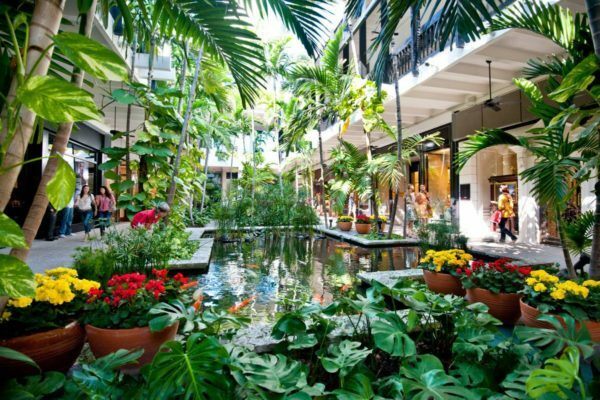 A visit to Bal Harbour Shops is a must – it could be possibly the most civilised shopping mall in the world. Very compact and with the very very best money can buy. I had an accident where my flip flops broke and just so you know, Havaianas cannot be found at BH. I found it strange as there are $100 havaianas and we all know there is a time and a place for them. I “had to buy’ a lovely pair of Gianvitto Rossi slides which I will remember forever as my emergency $400 pair of shoes. I was able to get a new pair of havaianas (as the GRs really are not ever going to see any sand) at the Four Seasons hotel shop (which was fantastic, by the way) and later on in the trip in Sarasota was able to get the exact same ones I had. 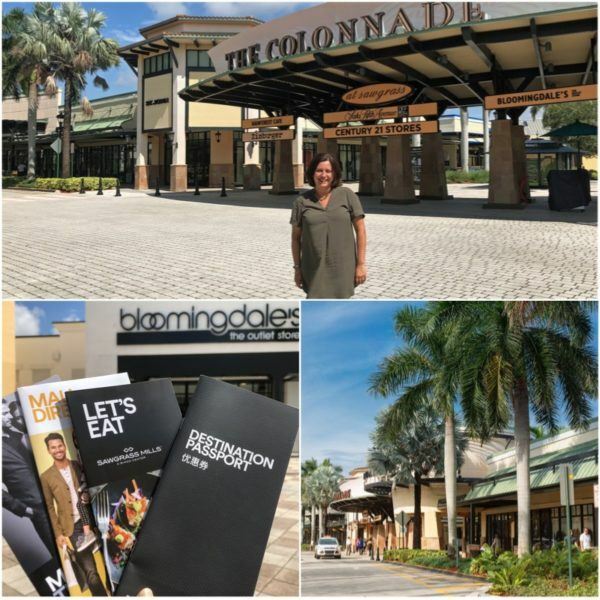 But there’s obviously another place we went to – the better than ever Colonnade Outlets at Sawgrass Mills. Located an hour’s drive from Miami Beach (and approximately 90 minutes from Naples, where I headed off to next), they are Florida’s most unique designer outlets and I can barely recognise them since my last visit. Sawgrass Mills is still huge (and some more mainstream high street brands have stores there), but the luxury brands are now all in the same place and it really makes for a pleasant shopping experience. 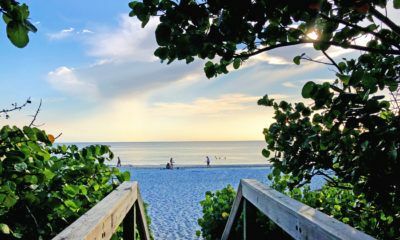 I loved returning to Miami Beach and pretty much every minute we spent in the area. I am glad I had a break since my last visit – because it was really interesting to see how at home I felt. I love the mix of cultures (the South American influence really adds more than a ‘je-ne-sais-quois’ to this part of Florida) and just how easy and relaxed everything was. 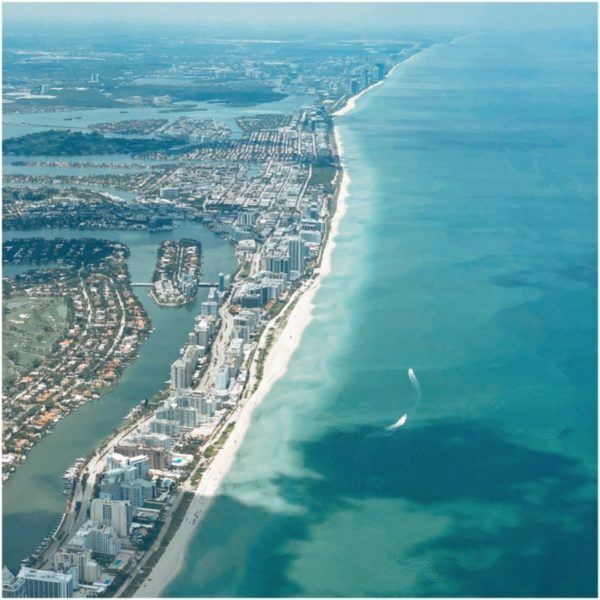 If you haven’t been to Miami Beach for a while…. go. I loved returning and it definitely won’t be years until I go back. Disclaimer and Fact Box: this trip was funded and sponsored by Visit Florida and I was able to organise the trip entirely on my own, like I normally would. My collaboration with Visit Florida also included a live social media campaign, which allowed those who follow me on Facebook, Twitter and Instagram to be able to join me during the trip. I loved every minute and opinions are all mine (and I promise you, it was great). Find out more about Florida by visiting Visit Florida‘s website – it has a good collection of resources and can help you plan your next trip. 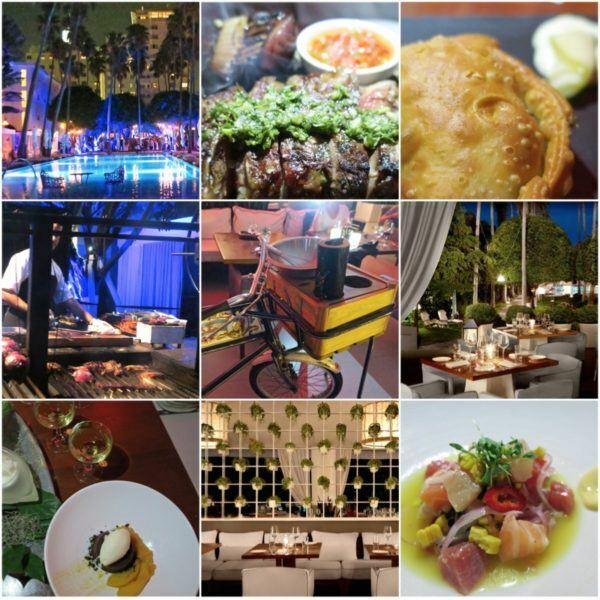 Start here for ideas on what to do and see in Miami, accommodation and shopping, of course. You can also visit the Miami and Beaches website. – Fly there – I flew with AA and BA in business class and fares start from £1800 direct from London Heathrow. My flight was £2750 due to the dates we chose. You can fly to nearby Fort Lauderdale as well now from London Gatwick. 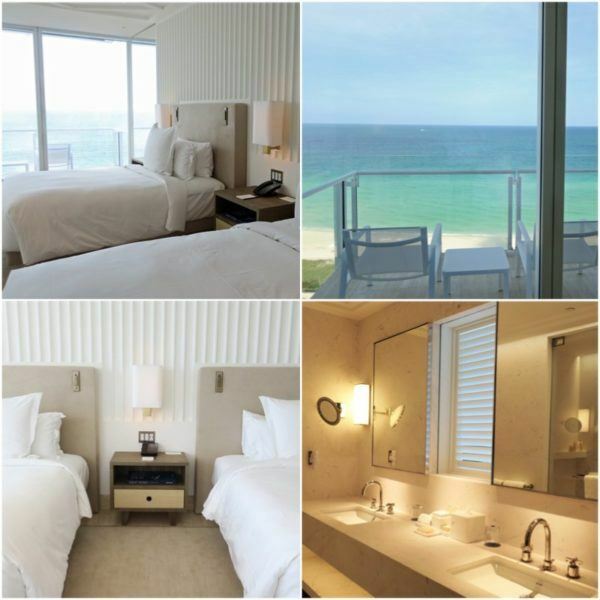 – Sleep – I stayed at the Four Seasons Hotel at The Surf Club in Surfside, Florida. 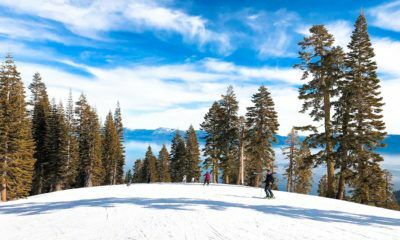 Rates for a double room start at $550 + tax excluding breakfast. Valet parking costs $42 per day. 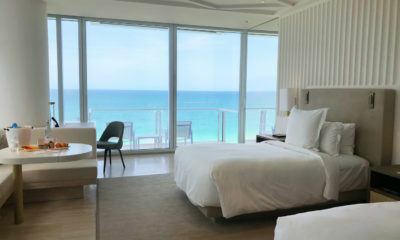 You can read my review of the Four Seasons Surfside here. – Getting around – I used Blacklane for the airport transfer ($), used Uber pretty much everywhere around town and also hired a car from day 3 onwards with Avis. – Capture the moment – a 30-minute photo session with Flytographer costs $250. Would love to fly to Florida for a short break. 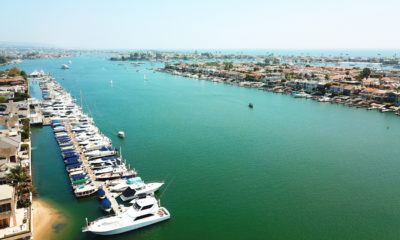 I think I’d be hitting the street food scene and exploring the coastline. Loved your video – really brought you and that beautiful smile of yours to life!